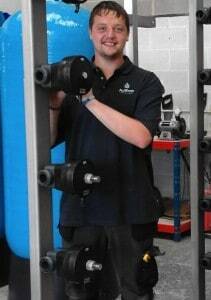 Based at the Somerset production facility, Alex joins to support Workshop Manager, Larry Knights, with plant build, cylinder manufacture and to assist with site installation and commissioning. Going forward he will commence study to compliment his company training and further enhance the skill set of the in-house team. ‘It is exciting to see the team grow and we believe that with training Alex will add strength and flexibility to the support we are able to offer our clients’ comments Derek Spriggs, Managing Director ‘We wish Alex all the very best for a long and happy career with AWT’.